A recent report by the Association of Certified Fraud Examiners (ACFE) determined that the cost of fraud and abuse was $652 billion. In total, fraud was attributed to 5% of total revenue, and in 42% of the cases, nothing was recovered. If a business is losing 5% of total revenue, imagine the impact on the bottom line. The costs of doing business are constantly increasing, which means you need every single penny to meet your financial obligations. The position of the perpetrator determined the frequency of fraudulent activity. Managers were more likely to commit fraud (41.2%). While owners and executives had fewer fraud episodes, they took advantage of their opportunities. The study revealed the median loss from these activities was $1,000,000. The median loss from managers was $218,000. 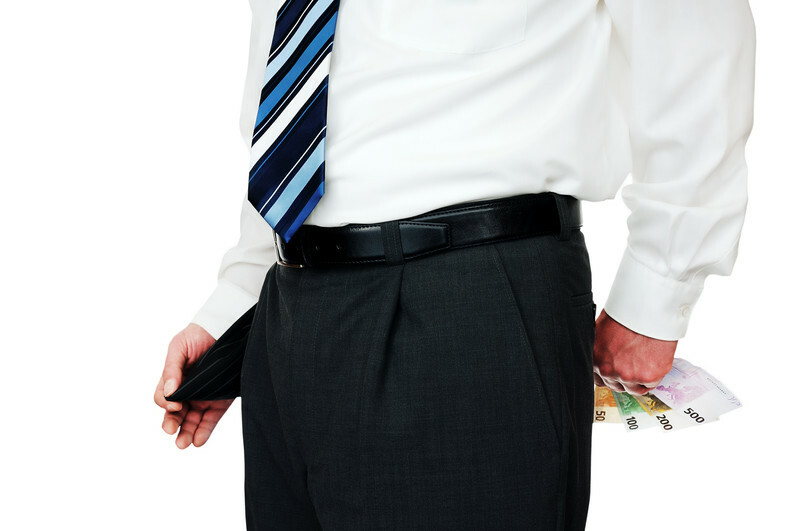 Finally, the theft from employees resulted in a median loss of $78,000. Many years ago, I served as clinic administrator of a practice in Houston. Janet in Accounts Receivable informed me that she was going to take a couple months of vacation time. She had been with the clinic for nearly 30 years, and wanted to spend time with her husband. A few minutes after this conversation, Ana walked into my office and mentioned she would be willing to assume Janet’s duties. The work required recording the payments from private insurance companies and government-sponsored programs, such as Medicare and Medicaid. Ana mentioned she had worked with Janet in recent weeks and had a clear understanding of the process. I was busy managing the daily activities of our nine surgeons, and I was pleased that Ana was eager to do the work. What I didn’t know was that Ana had befriended one of the tellers at our bank, essentially setting the stage for fraud. Ana communicated to the teller that the clinic decided to cash a private insurance check in the amount of roughly $1,000 each month, which would be used for petty cash. Private insurance companies paid a fee of approximately $1,000 for colonoscopies at that time, and that was a common procedure for our practice. With the $1,000 in hand, Ana placed $100 in petty cash and kept the rest. She also deleted the date of service for the procedure. In essence, our audits would not pick up the discrepancy because the transaction disappeared. Ana continued this fraud for a couple of months. She eventually forgot to delete one date of service, and our external accountant, who reviewed our records quarterly, identified the problem. We confronted Ana, and she resigned. To avoid negative publicity, the doctors decided to forego legal action. I learned that checks-and-balances are essential when managing money. While Ana could enter payments into our computer system, another employee should have made the bank deposits. We should also have had a manager approve the deletion of a date of service, or any other transactions pertaining to the customer. I understand more secure practices are commonplace today, but that wasn’t the case back in the early 1990s. You must remove the opportunities for fraud to occur. Everyone must fall under the same rules, from the company owner to the courier. You must implement a training program to educate everyone regarding expectations. Of course, the key to a successful anti-fraud program is auditing. As Ronald Reagan said to Mikhail Gorbachev during the signing of the INF Treaty: Trust, but verify.